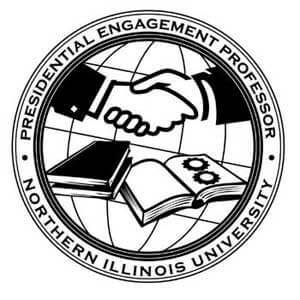 A literacy expert who has developed strong partnerships with area schools and an anthropologist whose work in Southeast Asia has earned her the trust of both villagers and government officials are this year’s NIU Presidential Engagement Professors. Elish-Piper and Molnar will be honored at a ceremony at 3 p.m. Monday, April 22, in the Altgeld Auditorium. The Presidential Engagement Professorship award is accompanied by a $5,000 stipend, renewable annually during each year of a four-year award period. PEP professors also receive a specially minted medallion to be worn with their academic regalia. Laurie Elish-Piper is a professor of Literacy Education, director of the Literacy Clinic and co-director of the Center for the Interdisciplinary Study of Language and Literacy. 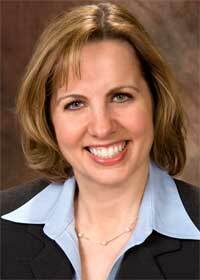 She was recently elected to the board of directors of the International Reading Association. According to her nominators, Elish-Piper has demonstrated a long-standing commitment to engagement with area communities. She pioneered a partnership with Harlem United District 122 in Rockford, went on to develop similar connections with school districts throughout the northern Illinois region, and developed the foundation for NIU’s highly successful Professional Development School model. Elish-Piper works with schools to enhance the effectiveness of district reading specialists, and to help them develop effective tutoring programs for at-risk readers. “Dr. Elish-Piper has worked with more than 30 literacy coaches and 20 principals in our district over the past four years, and it’s made a huge difference for our reading intervention programs,” wrote Maria McClurkin of Palatine’s Community Consolidated School District 15. “She has provided an incredible resource of professionals, research, and materials to advance our district literacy initiatives,” Durin said. According to current and former NIU students who supported Elish-Piper’s PEP nomination, her engagement efforts bring additional depth to her teaching and provide opportunities for students to gain valuable experience in the field. “Through her work, I have had the opportunity to be a resource to area principals, teachers and parents,” wrote former student Susan Hinrichs. Elish-Piper is praised by partners and students alike for her innovative approaches to literacy coaching. Among those efforts is a series of YouTube videos for parents of struggling readers that have been featured in several national reading publications and are available in both English and Spanish. Another initiative currently under way involves development of an X-Box 360 Kinect video game that teaches vocabulary to reluctant readers in elementary school. Two teams of NIU students participated in development of that project. For her own part, Elish-Piper says that community engagement has made her a better teacher and researcher. Andrea Molnar is a cultural anthropologist who specializes in Southeast Asia, Indonesia, East Timor and southern Thailand. Molnar’s work revolves around issues of religion, politics and cultural change, and has its roots in deeply personal experiences: She and her family escaped communist Hungary when she was a child, and subsequent experiences in refugee camps instilled a lifelong concern about the interactions of dominant and subjugated groups. According to her nominators, Molnar has consistently integrated community engagement activities into her field work, helping local leaders address issues ranging from clean water, agriculture and economic development to health care, education and tourism. Her political savvy and ease with language has earned her the trust of local officials in several developing nations. Recognized as one of the world’s foremost experts on East Timor, she was chosen to serve as an international observer for the Carter Center during constitutional assembly elections there. Among her colleagues, Molnar is known for consistently promoting NIU in Thailand and maintaining strong ties with Thai alumni. She lectures extensively on Muslim women in southern Thailand, and works with NGOs there to promote cross-cultural understanding. Molnar has organized study abroad trips to southern Thailand that allow NIU students to experience sites of conflict, study its causes and craft possible solutions to restore peace to the region. “Dr. Molnar consistently strives to connect all aspects of her research and the communities in which she works to her teaching, and to engage students, universities, governments and NGOs in the work of resolving conflict wherever it exists,” wrote former student Jenn Widman. Such is her reputation for understanding the basis of conflict in southern Thailand that she was chosen to brief the new Prime Minister of that country in 2010. Molnar’s standing in the international community has also helped NIU establish relationships with universities across the globe. “Professor Molnar has been a major actor in academic cooperation between my university (Prince of Songkla University, Thailand) and NIU,” wrote Srisompob Jitpiromsri, director of PSU’s Center for Conflict Studies and Cultural Diversity. 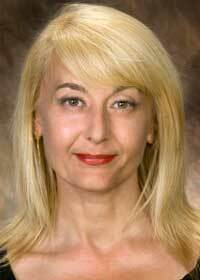 Molnar’s work is not without threat to her own personal safety, as noted by several of her nominators. An associate of the NIU Center for Southeast Asian Studies, Molnar is also involved in work with Northern’s NGOLD center and several international student groups. She regularly opens her home to international students and provides support through websites and Facebook pages.